A few weeks ago I added two more primary sources to the Alto Trombone History Timeline and the Alto in Treatises page. Today I added yet another, the 1844 Supplement to Kastner’s 1837 treatise. To these three sources from 1840s France we can add written sources from Jules Riviere (1842) and Hector Berlioz (1844) and begin to get enough data points to at least detect patterns. 1) In France, the alto trombone is considered a small instrument pitched in E-flat (3 sources) or F (3 sources). It is clearly not considered just a B-flat tenor trombone with an extra-small mouthpiece. 2) In France, the tenor trombone is “nearly the only one in use” (Hartman), or the “most used trombone” (La Fage). The alto trombone, on the other hand, is used “in large [or great] orchestras” (La Fage), “in France in very few orchestras” (Kastner), or “is now to be found in very few of our French orchestras” (Berlioz). 3) Notice that, in #2 (above), the alto trombone in France is rare, but not obsolete. Take note of the consistent use of qualifiers such as nearly, generally, and very few in the various entries. This is consistent and important. One apparent example of this rare use of alto trombone in France is the Lyons Opera House, as reported by Jules Riviere (who was a violinist in that orchestra, something of a trombonist himself, and later a friend of renowned trombonist, Antoine Dieppo). See 1842, below. 4) Another common theme is that the lack of alto trombones is most definitely not seen as a positive development. Kastner complains about it repeatedly: “…which is very unfortunate because the tenor trombone may not play as high, and composers are deprived of using [notated B-F], notes that would benefit them greatly” (p. 40), “It is understood that this is a great disadvantage for our composers” (p. 41), and “…which has given rise to some singular difficulty [embarras]” (p. 41). Berlioz agrees that the lack of alto trombones “is a matter for regret” (Macdonald-Berlioz 208). 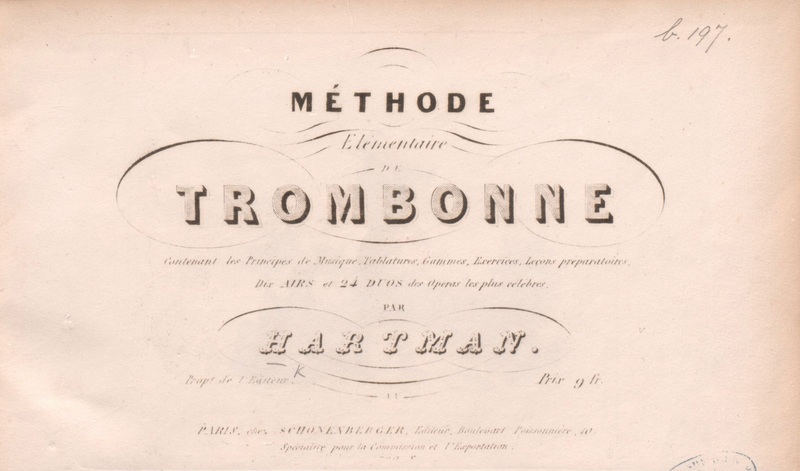 c. 1840—Paris, France: Hartman’s Méthode elémentaire de trombone includes the following information about the pitch and usage of the alto trombone: “There are three types of trombones, alto, tenor or bass, and contrabass. The alto trombone is in E-flat, a fourth above the tenor, tenor trombone is in B-flat, and contrabass trombone in E-flat, a fifth below the tenor trombone. The tenor trombone being nearly the only one in use, it will then be, without question, only about this [one] in this work.” The method book is dated by University of Cambridge’s library catalog as c. 1840, and by Trevor Herbert as “1845?” (Hartman, Methode; Herbert, The Trombone 327). 1842—Lyon, France: Jules Riviere, a French musician who later becomes active as a conductor in England, joins the orchestra at the Lyons Opera House as a violinist. Something of a trombonist himself and later a friend of the renowned trombonist, Antoine Dieppo, Riviere takes special note of the makeup of the orchestra’s trombone section, “the first trombone player having an instrument in F alto, the second a B [sic] tenor, and the third a G bass” (Riviere 58). 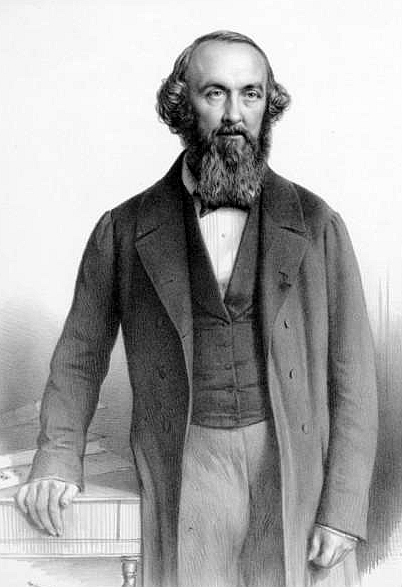 1844—Paris, France: Composer-musicologist Adrien de La Fage’s entry on trombone in the Encyclopédie des gens du monde offers the following information about the key and usage of alto trombone: “Those dimensions are those of the most used trombone, which is to say the tenor trombone—which in practice is used as a bass trombone; that which is used in orchestras where there is only one trombone…But in the large [or great] orchestras, where three trombones are used, other than the preceding that effectively plays the tenor part, there is the alto trombone, in F, which is a fifth above, and the bass trombone at the inferior octave from the alto trombone; although the bass part is most often played on a tenor trombone” (special thanks to Maximilien Brisson for the translation) (vol. 22, part 1, 292). 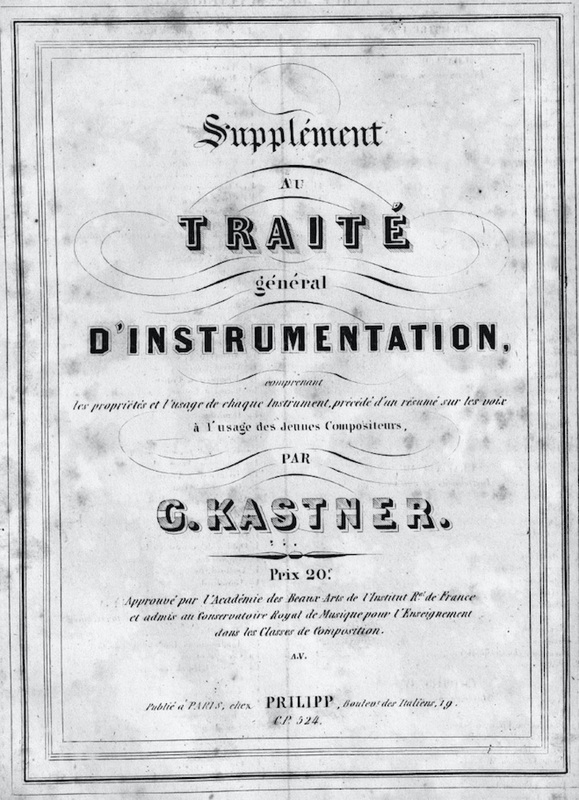 1844—Paris, France: Jean-Georges Kastner, the French composer and theorist, writes a Supplement to his Traité Général d’Instrumentation of 1837. As in the original treatise, Kastner places the alto trombone clearly in the E-flat orbit: “In general, in France, the first position of the alto trombone provides the following notes [E-flat harmonic series], but one finds others that feature a first position that is a tone higher [F harmonic series], and consequently all the degrees in the same proportion” (see below image; public domain; p. 40). Likewise, Kastner places the valve alto trombone in E-flat and F (p. 42). 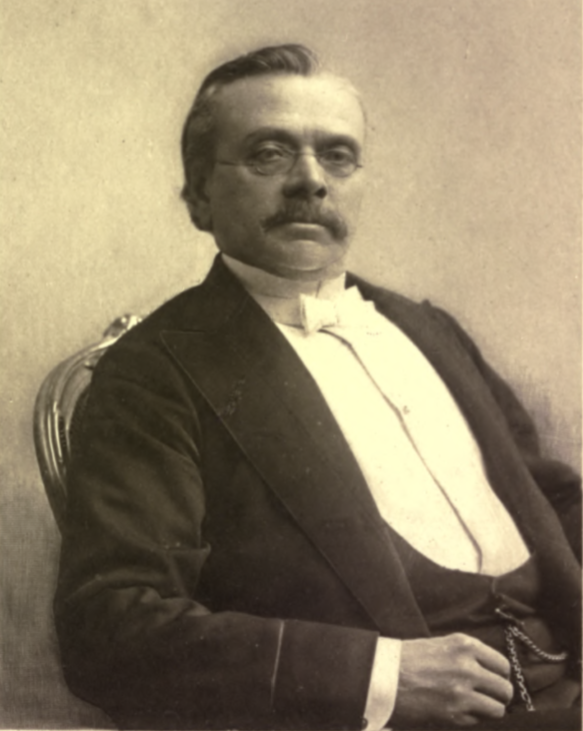 Kastner also mentions that, unfortunately, the alto is much more common in Germany than in France: “The alto trombone is in general use in Germany, but is only found in France in very few orchestras, which is very unfortunate because the tenor trombone may not play as high, and composers are deprived of using [notated B-F], notes that would benefit them greatly” (p. 40). He reiterates on the following page that this absence of alto trombone is a negative: “And the alto trombone and bass trombone, which are widespread in Germany, are most unusual in France. It is understood that this is a great disadvantage for our composers” (p. 41). 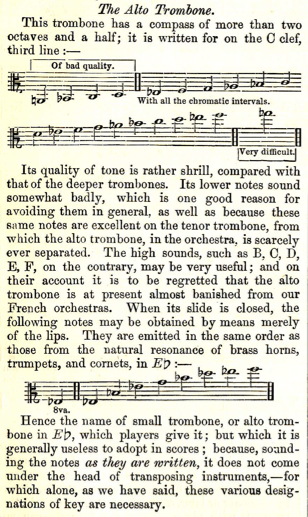 Finally, he adds that, in general, 3 tenor trombones are used in French trombone sections, reiterating that this is negative (difficulty/embarrassment): “In general, French composers use only tenor trombone, for which they write in three parts, but they often continue to indicate by the designations of alto, tenor, and bass, which has given rise to some singular difficulty [embarras], especially in the bass part” (p. 41). 1844—Paris, France: Hector Berlioz describes an alto trombone in E-flat (“small trombone, or alto trombone in E-flat”) in his highly influential Treatise on Modern Instrumentation and Orchestration (see below image; public domain) (Berlioz-Clarke 152). Although he offers a mixed opinion about the alto trombone, Berlioz does have a few positive things to say, mentioning that the instrument’s high notes are “very useful” and thus bemoaning, “it is a matter for regret therefore that the alto trombone is now to be found in very few of our French orchestras” (Macdonald 209). In his discussion of valve alto trombone (which he explains is pitched in E-flat or F), he is also complimentary: “Melodic solos are frequently written for the alto valve trombone. If well phrased, a melody can have considerable charm on this instrument.” Although the statement is in reference to valve alto trombone, Berlioz adds, “But it is a mistake to believe it would have any less charm on the slide trombone in the hands of a true virtuoso…” (Macdonald 228). I think it is more important to know what the custom was. Did composers usually left the choices of trombones to the players? Did composers usually specified the kind of trombones to be used? Which one was more often?? I think these written sources are describing what the custom was. The custom in France was for most people to play on tenor, but there were still some playing alto. The custom in France was that alto was considered a smaller instrument–in E-flat or F.
In terms of what was recorded in each score, that varies. I know of at least one case (Berlioz’s Symphony Fantastique) where the composer wanted to make sure a “true alto trombone” was used, not a tenor, so a note was included. Regarding the orchestration of the top trombone part, Berlioz says, in an early document listing the instrumentation, “The alto trombone part must not be played on a big trombone, as is often done in France: I demand a true alto trombone” (Macdonald 210; Massip 33). In other cases, I’m sure composers were willing to leave those details up to the individual player.